AMG® – These three letters stand worldwide for supreme automotive performance, exclusivity, efficiency and highly dynamic driving pleasure. In 2017, the company founded by Hans Werner Aufrecht and Erhard Melcher celebrated its 50th anniversary. 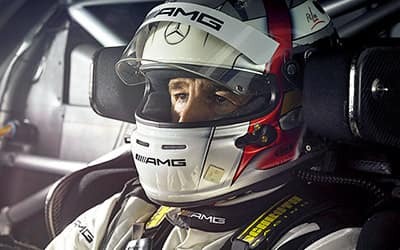 In the course of this half-century, Mercedes-AMG® has recorded numerous successes in motorsport and through the development of unique road-going vehicles, thereby repeatedly underlining its position as a highly successful sports car and performance brand – and today this is truer than ever. Their Mission: to develop and test racing engines for Mercedes-Benz. Come visit our showroom at 630 Middle Country rd. 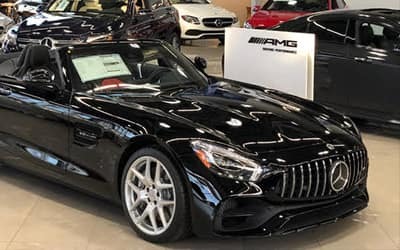 St James NY to explore the many AMG® models that Mercedes-Benz has to offer. A LINEUP OF SUPERSTARS. A FAMILY OF THOROUGHBREDS. From the creators of the 45, 63 and 65 model lines comes Mercedes‑AMG® 43, nine authentic performance vehicles with AMG® pedigree and a thirst for speed. 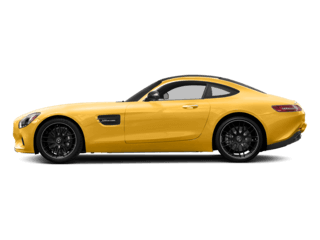 Fitted with numerous AMG® enhancements, every vehicle screams “Drive me,” because in the AMG® family, performance is king. From coupes and sedans to SUVs and roadsters, the power and handling of the 43 lineup beckon to the world’s most passionate drivers. All that’s left to do is grip the wheel and press the accelerator. In 1967, two automotive engineers with a passion for motorsports began fine-tuning engines for Mercedes-Benz race cars in an old mill. Today, as the performance division of Mercedes-Benz, AMG® creates some of the most sought-after vehicles in the world. They’re the product of skilled craftsmen, designers and engineers who live to test the limits, and one shared conviction: on the road to driving performance, short cuts never win the race. Visit us at 630 Middle Country Rd, St James, NY 11780! 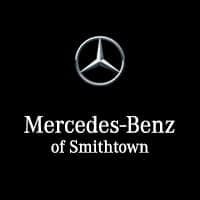 Take home your new Mercedes-Benz using the Fire Island, or Port Jefferson Ferry! We are located near the Smith Haven Mall and about 15 minutes away from Stony Brook University and 20 minutes from MacArthur Airport!